Designed with the owner-operator in mind, the HH50 is a bluewater capable, fast cruiser with intelligent, yet simple systems. 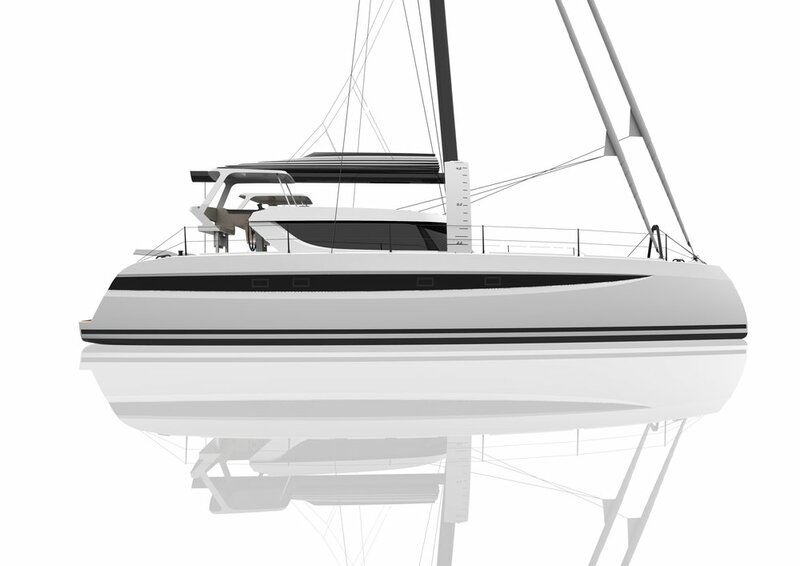 The HH50 will adhere to the principles of the HH Catamaran line - Morrelli & Melvin's world renowned design, lightweight, high-tech, carbon construction, and luxurious finish. For the sailor who’s serious about safety, speed, comfort, technology and style, the HH50 offers the best of all worlds in a compact, easy-to-manage package. The HH50 is robustly built and fully equipped to take you around the world, in comfort and style. 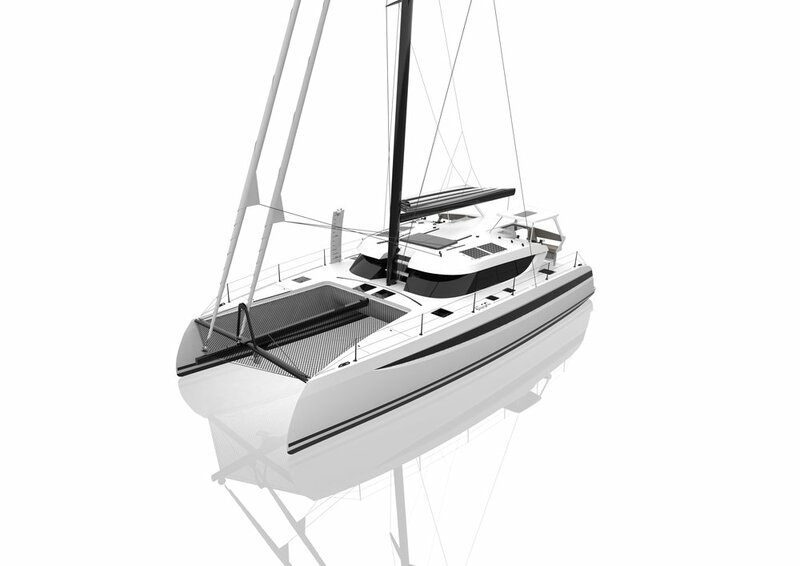 Deck layout and sailing systems have been designed for short-handed sailing. Dual helm stations aft provide excellent visibility and allow the helmsman total sail control from either side of the boat. Push button mainsheet and self-tacking jib are standard. 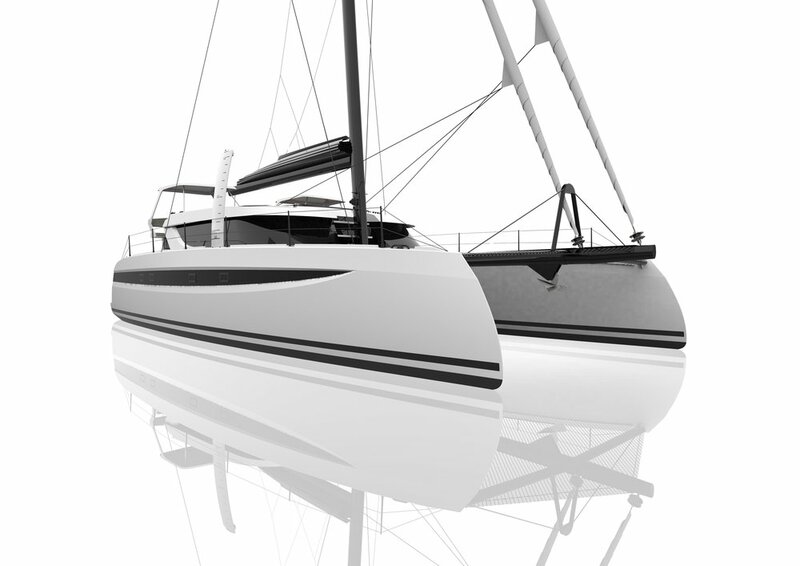 For those who wish to optimize performance, a powerful 753.5 sqft overlapping solent is optional. All line handling is done from the helm stations opening up the rest of the boat for living space. Like in the larger HH models, the HH50 will have curved “C” daggerboards with optional push-button controlled line drivers. 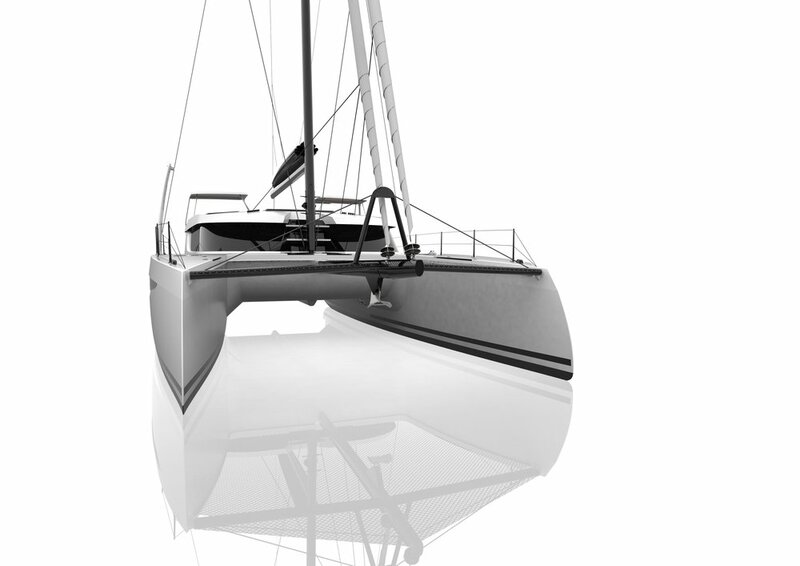 Fully retracted boards will yield a draft of 4.92 ft (1.5m), allowing the boat to comfortably navigate shallow waters. The HH50 features a spacious general arrangement. The large saloon offers a generous sized galley to starboard with an island just outboard of centerline. Seating for six around a large dining table and a dedicated navigation station are to port. When at anchor the forward sail handling area easily converts to an a comfortable forward facing seating area. An attractive ‘eyebrow’ around the cabin top adds to the aggressive styling but is very practical in creating much needed sun shade in the saloon as well as creating a safety hand hold when walking the side decks. The aft cockpit is perfect for entertaining: a settee and table set the stage for dining alfresco, made complete by an integrated wetbar and barbecue. Down below you’ll find a luxury queen cabin aft in each hull. On port side, the master, which offers an office/lounge space amidship with substantial storage space and a generous head and separate shower forward. The guest side is to starboard with Jack and Jill head and shower amidship and a third cabin forward. 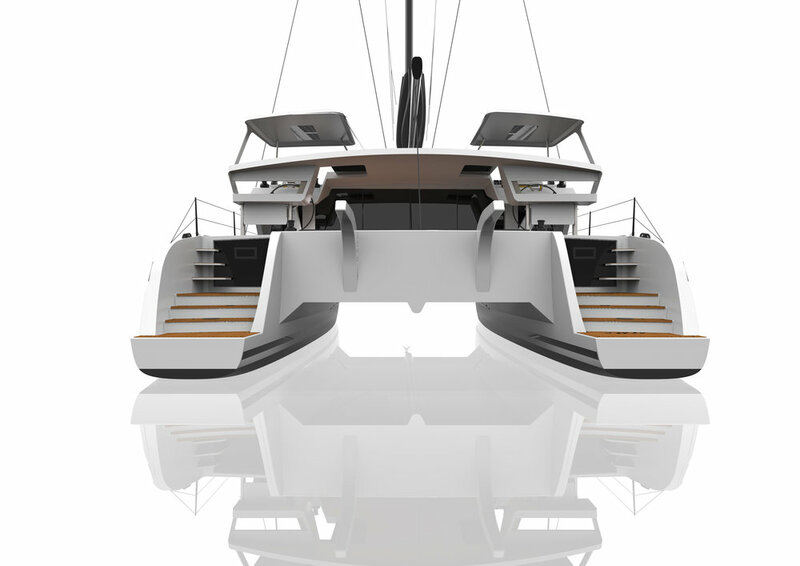 Dual companionways allow easy access to the saloon from either starboard cabin. Contact us at sales@hhcatamarans.com or drop us a line on our contact page to learn more.